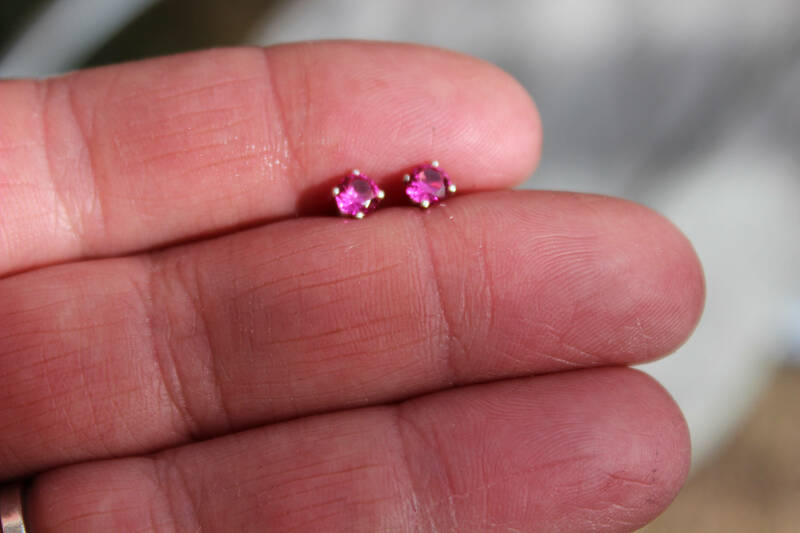 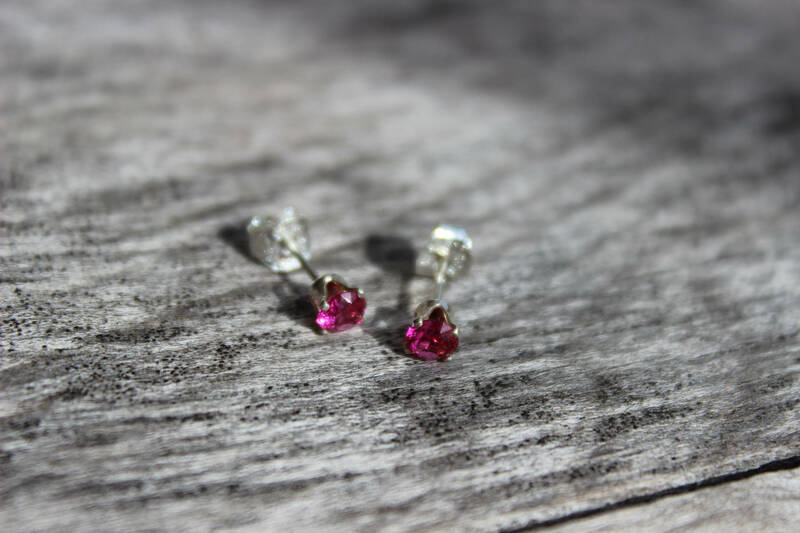 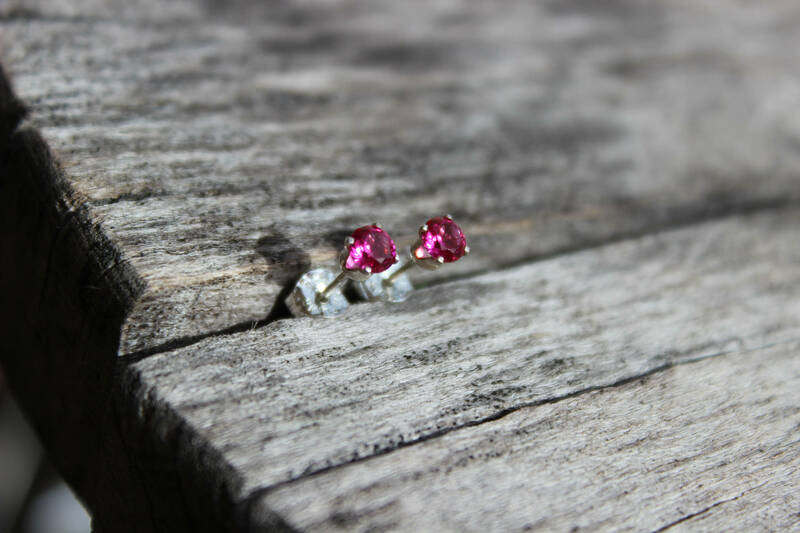 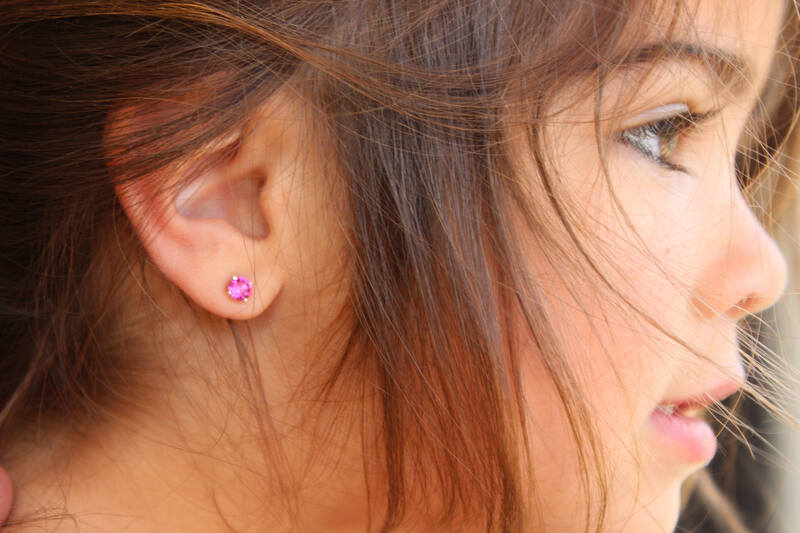 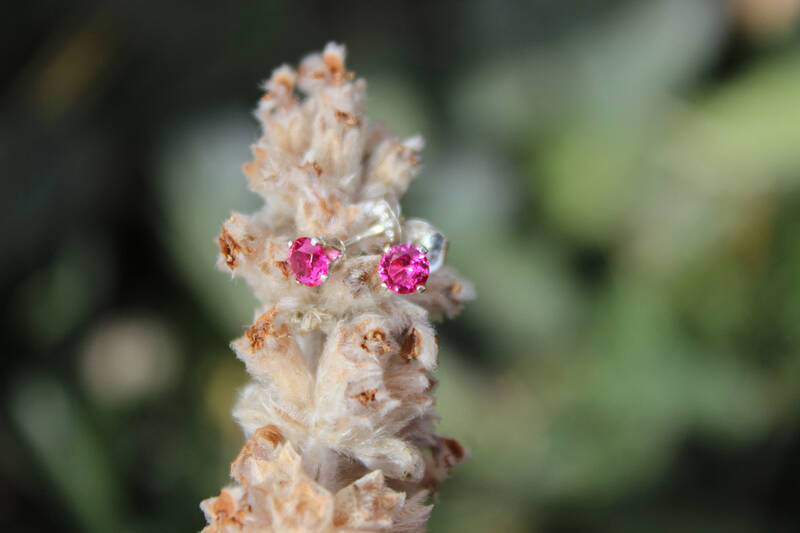 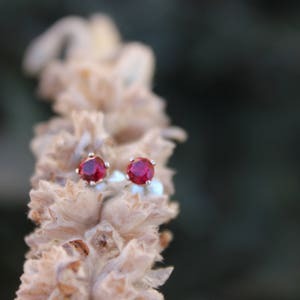 Tiny ruby studs for your ears! 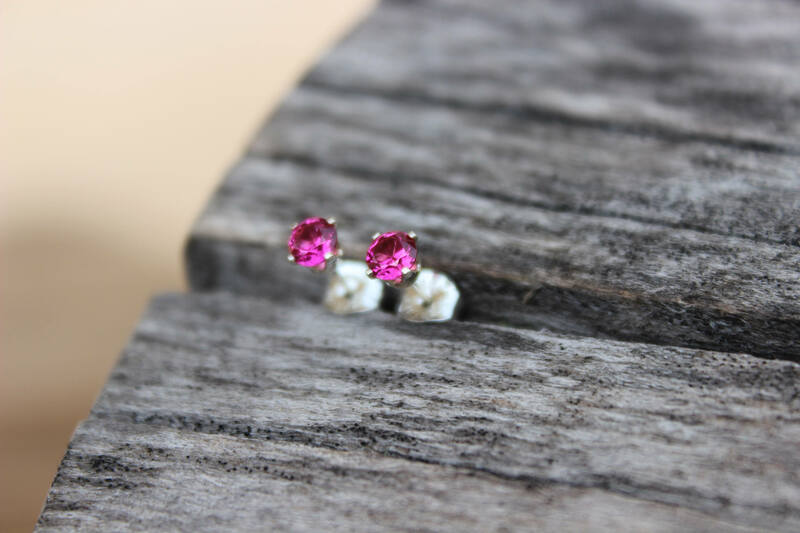 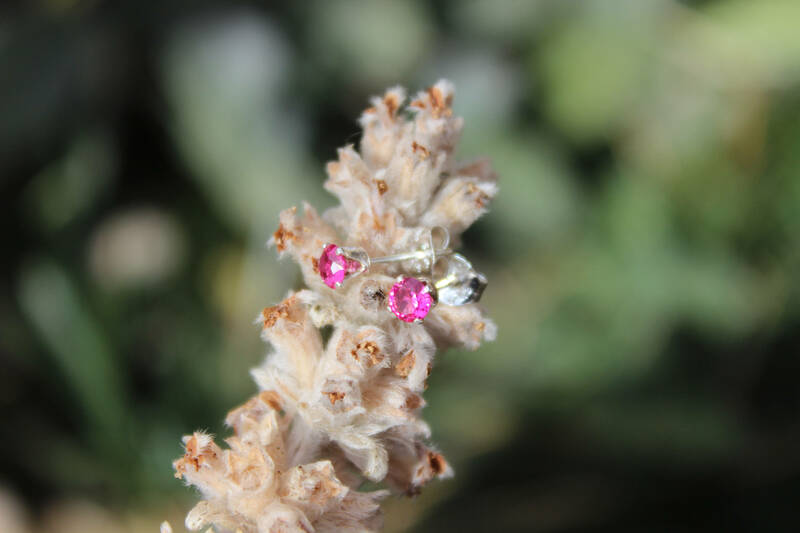 Grasped by four prongs of sterling silver or 14K gold, 4mm lab created ruby is ready to adorn your ears. 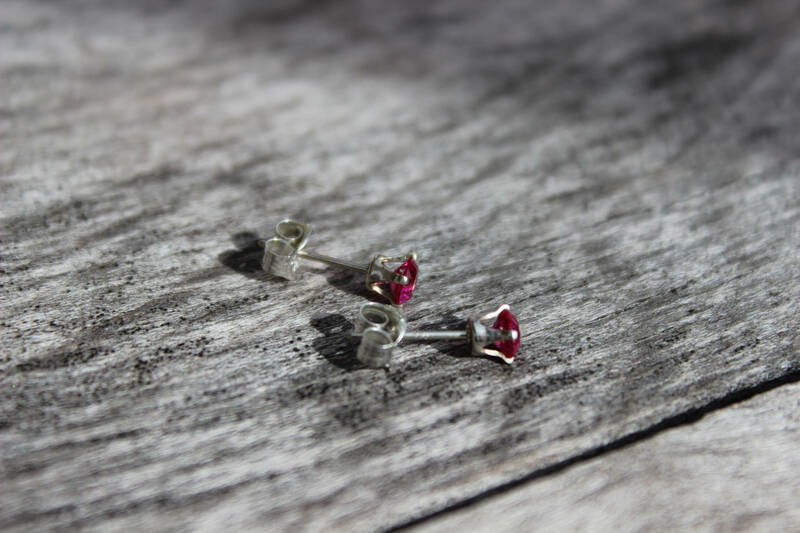 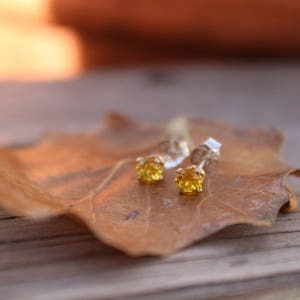 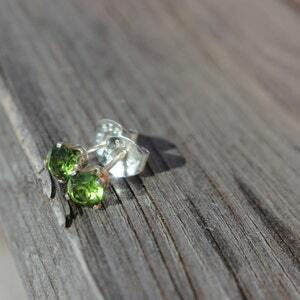 Sterling silver ear nuts are included. 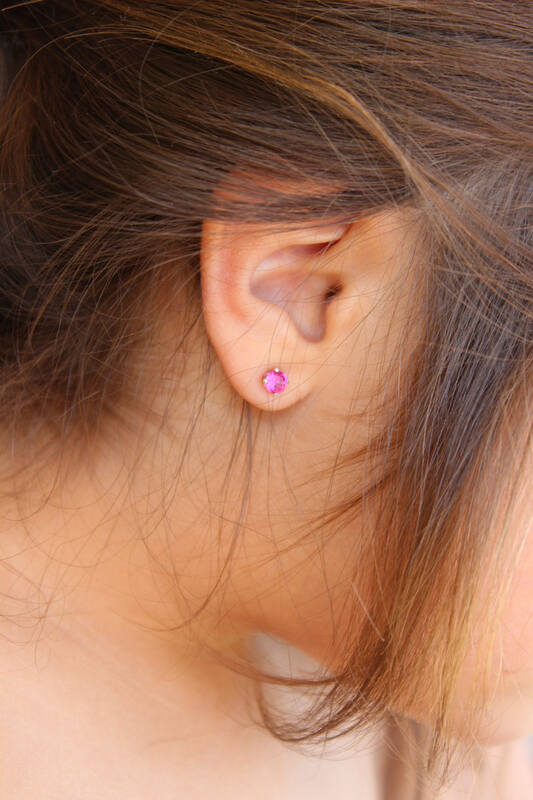 The 14K yellow gold ear nut is completely encased in silicone, providing maximum comfort. 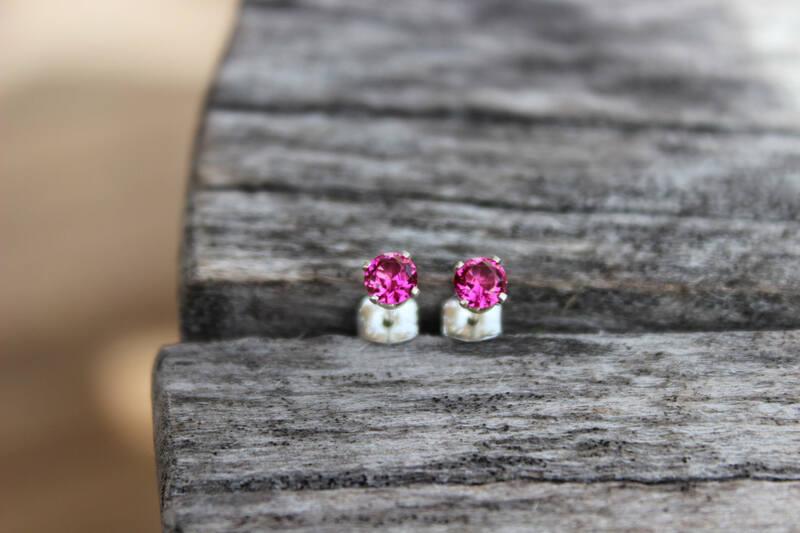 The casing features a mushroom-shaped button that helps ensure a secure grip when applying or removing the nut.